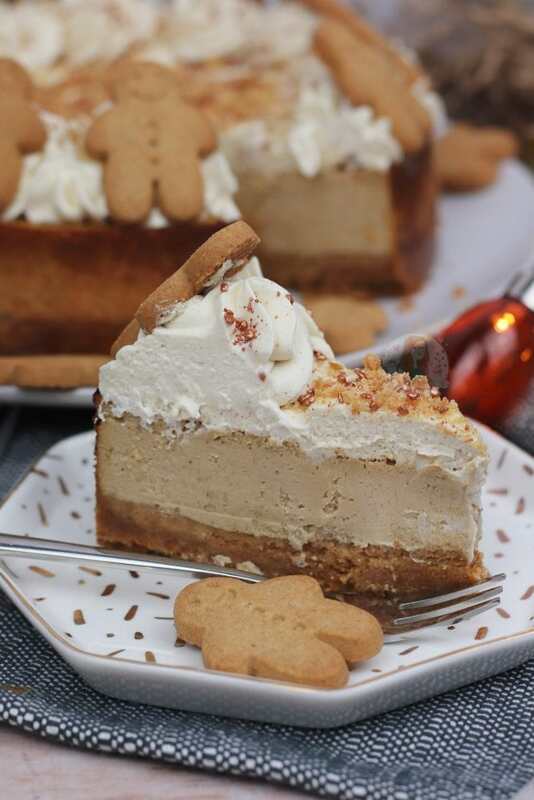 A Delicious, Creamy and Very Festive Baked Gingerbread Cheesecake! 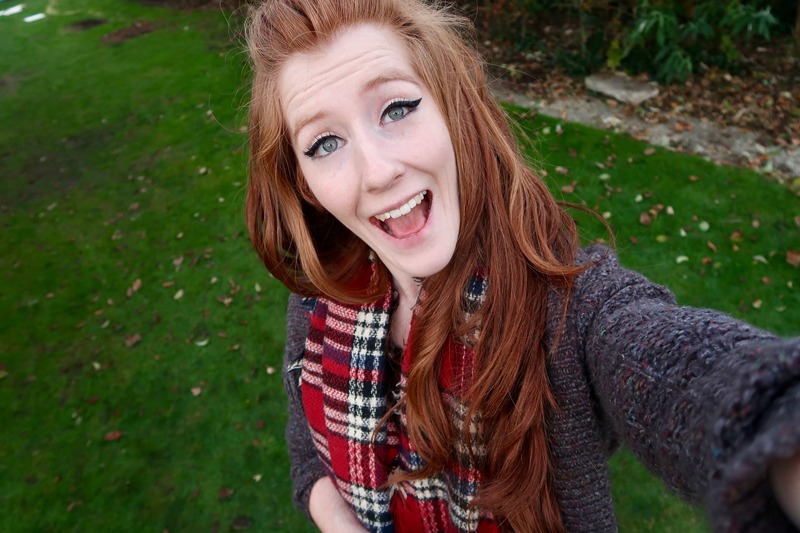 IT IS OFFICIALLY DECEMBER! 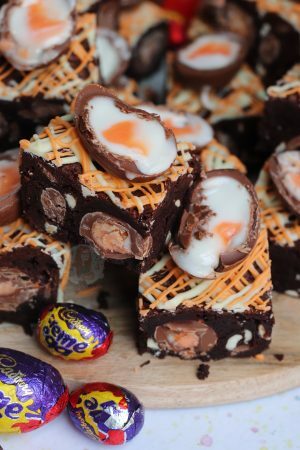 I can finally post Christmas Recipes without feeling awkward that people are going to be annoyed! 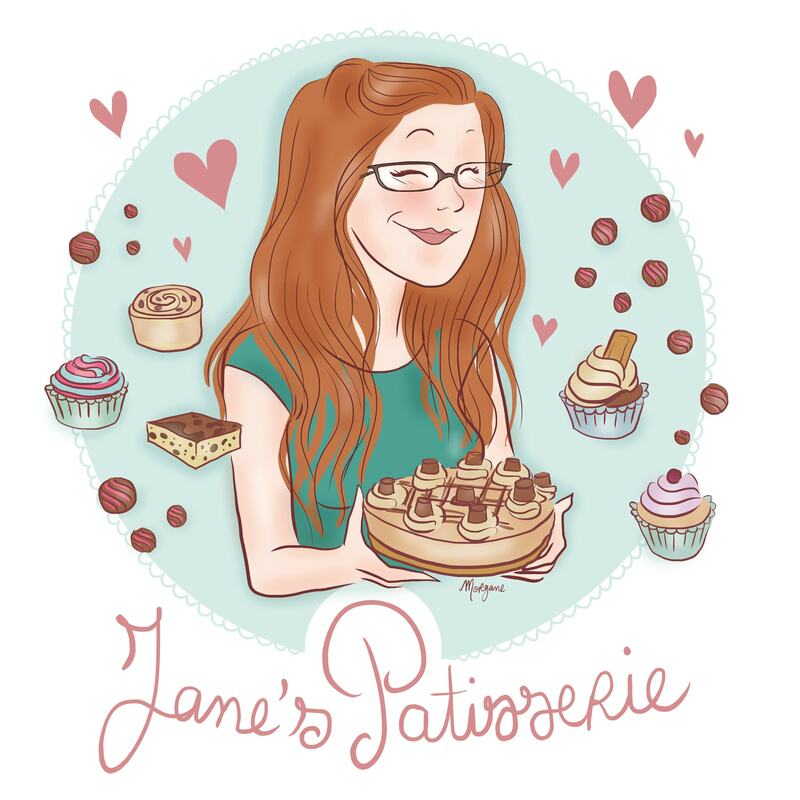 Strictly speaking, I bake waaaay ahead of time, so these were completed a good while ago, but posting wise… if I dare! This beauty was the perfect way to celebrate the start of December! 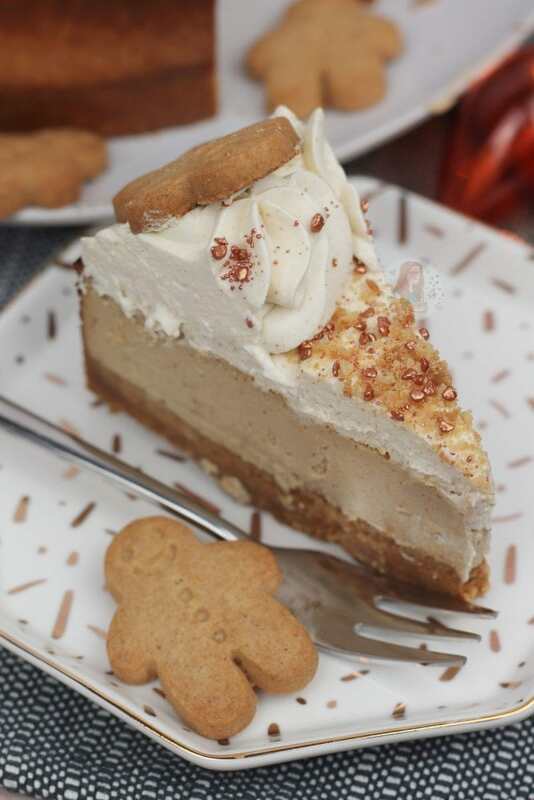 I have a GORGEOUS No-Bake Gingerbread Cheesecake recipe in my Christmas EBook, but that one is exclusive to that. Therefore, I thought I would do something quite rare for me, and do another Baked Cheesecake! I know, I know… the shock and the horror. However, I do really like them! They are a smidge more faffy. The good thing about things such as Baked Cheesecakes is that yes they still have to set, but it’s much easier to get a set thanks to the oven. You do have to make sure to not whisk/mix this mixture like crazy because basically the thinner it is, the longer it will take to bake, but once it’s baked it’s delightful. For the Base, I personally used Gingernuts as I wanted a really gingery base. You can use Digestives however if you prefer! Some recipes say to bake the base first, but I never bother as I nearly always forget! If you prefer, you can put the biscuits up the side of the tin as well, but I prefer a thick and tasty bottom layer. For the Cheesecake, I based it mostly on my New York Cheesecake Recipe. Things are altered though, to make it suit a gingery taste. 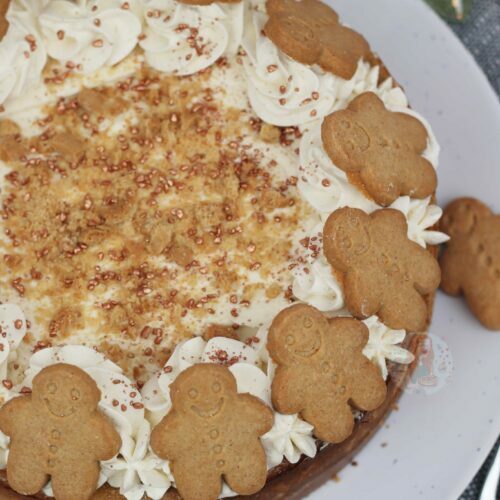 When making a more classic Gingerbread Cake recipe, its thick, gloopy and delightful. Mostly because of all the spices, but also the Sugar and the Black Treacle. 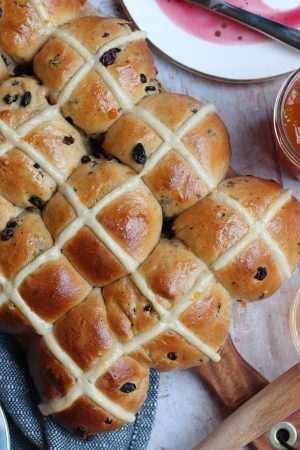 Because of that, I wanted to use some Black Treacle in this recipe to get more flavour. The Black Treacle is optional, as I realise buying an entire tin for just 50g is annoying, but I always have some in my cupboard for the chance to bake something like a Gingerbread themed bake. If you don’t want to use it, up the sugar to 150g instead of 100g. Honestly, though, the taste is INCREDIBLEEEE. 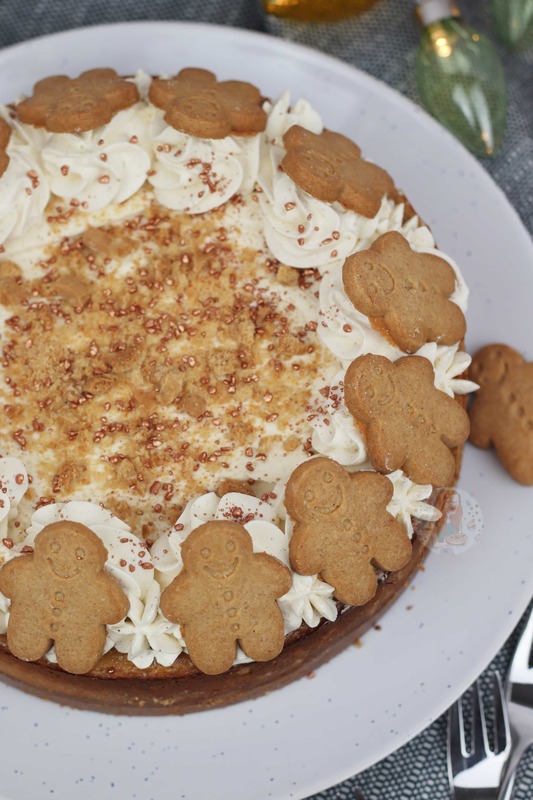 I have yet to finish posting my new Christmas recipes for the year, but it’s definitely the year of ‘Gingerbread’ on this blog. I don’t even know how it happened, but it got that way. My Gingerbread Drip Cake that I posted the other day is already one of my favourite Festive recipes, and this one is vastly approaching the top spot! Preheat your oven to 220C/200C fan. Blitz your Biscuits to a fine crumb, add in the Melted Butter and blitz again. Press the biscuit down into the bottom of a 20cm/8" Deep Springform Tin. Leave to the side for now. Mix your Cream Cheese on its own till smooth - will only take 10-20 seconds or so. Gradually add in the Light Brown Sugar, Black Treacle, and Plain Flour, without mixing for too long. Add in the Vanilla, Ginger, Cinnamon and Nutmeg, and then Gradually add in the eggs one at a time. The less you mix the better! Once mixed, fold through the Soured Cream, and then pour the Cheesecake Mix on top of the base. Bake in the oven for 10 minutes, and then lower the temperature to 110C/90C Fan, and bake for 35-45 minutes. It should have a small wobble in the middle, but mainly be solid! Once baked, leave to cool IN THE OVEN with the door ajar, for 2 hours. Once cooled, leave to set in the fridge overnight. Whip together your Cream, Icing Sugar and Ginger till thick and pipeable! Take your cheesecake out of the tin, and I smothered some cream on the Cheesecake, and then also piped on some swirls. 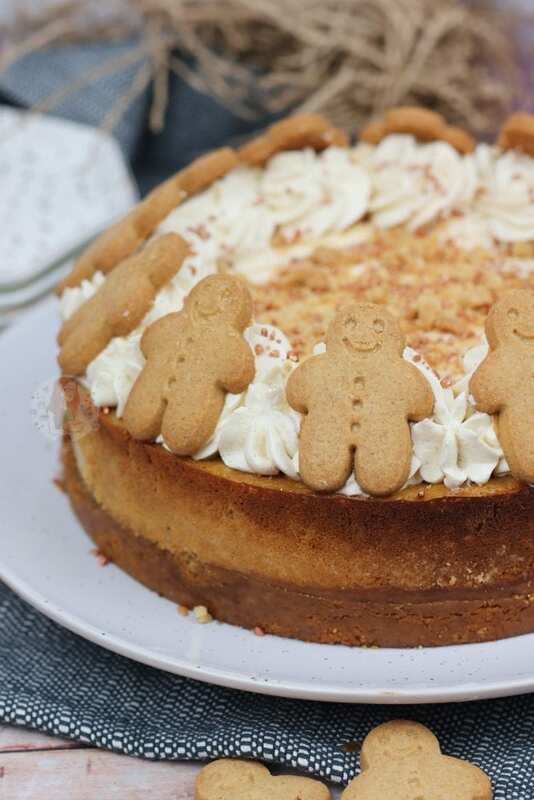 Add on some Gingerbread Men for decoration, and sprinkle over some Gingerbread Crumbs, and some Sprinkles! 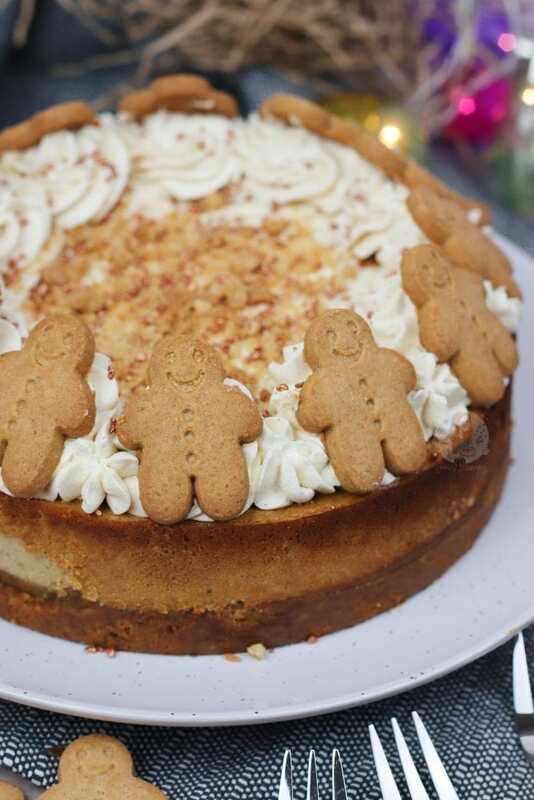 This cheesecake will last for 3 days once decorated! The Black Treacle is optional, but gives a lovely flavour - if not using, up the sugar to 150g! Sometimes, the cheesecake can take a bit longer to bake if you have overmixed the mixture. The least mixing the better! 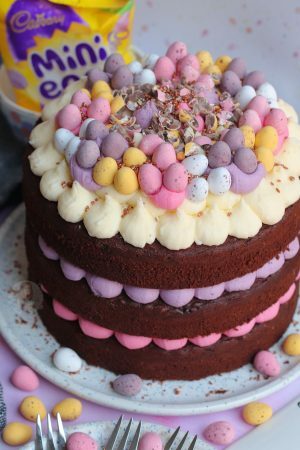 The decoration is optional but delicious! 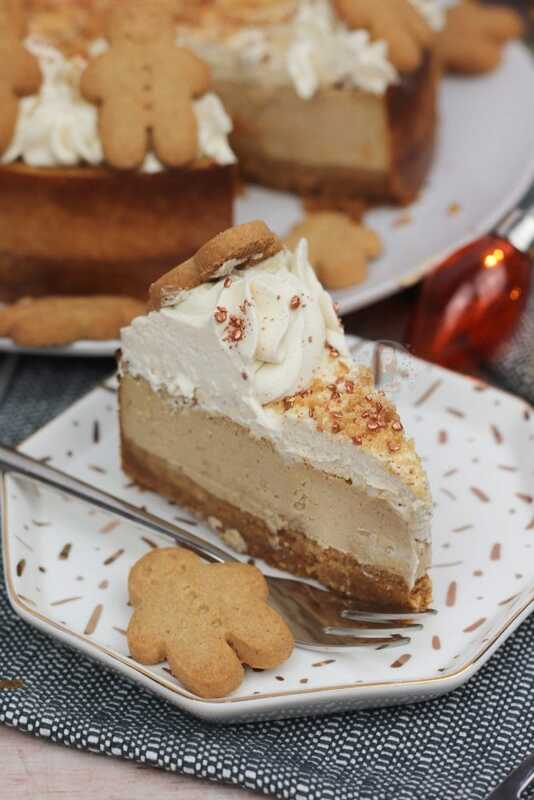 Sometimes, Cheesecakes can crack due to over mixing, or cooling too quickly. Fear not, it won't affect the taste one bit so don't worry! The cheesecake does brown a bit on the outside - it's not burnt, don't worry! 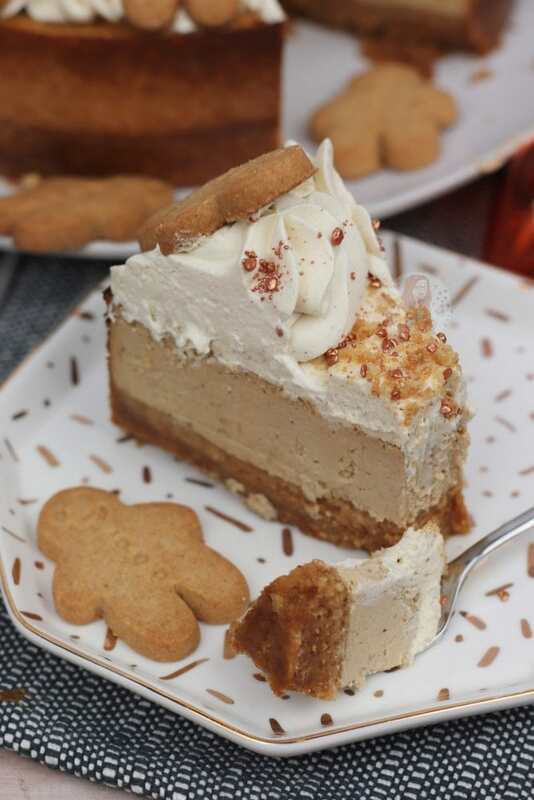 If you want a No-Bake Gingerbread Cheesecake, check out my second Ebook! Older Next post: Whittards at Christmas! 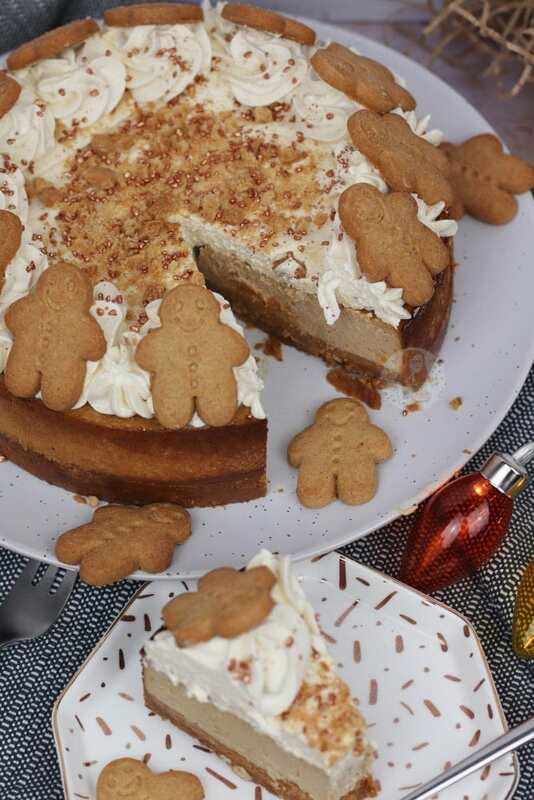 Newer Previous post: Gingerbread Millionaires Shortbread! I’ve never tried I’m afraid!